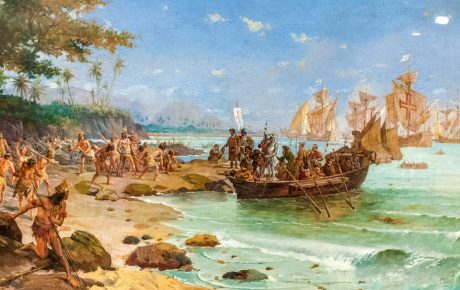 If you look for reading material about Brazilian history, chances are they begin telling the story about Latin America’s largest country in 1500, when Portuguese explorer Pedro Álvares Cabral first set foot on our shores. Sources that go a bit deeper might even talk about another explorer who came two years prior, in a sort of scouting mission to assess the soon-to-be-colonized land. You’ll rarely find, however, any history books about Brazil’s pre-colonial times. As a matter of fact, this period of Brazilian history is often misperceived, with people’s knowledge often based on cliché – even in Brazil. 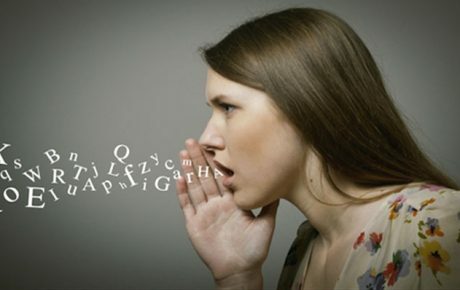 The common thing to hear is that the country was a near uninhabited land, and that indigenous people were still living in the Stone Age. Unlike pre-Columbian Peru or Central America, there was no centralized empire in Brazil, nor were there magnificent pyramids built by the Aztecs and Mayans. 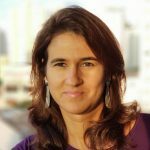 Brazilian indigenous populations are often depicted as “lazy and underdeveloped” – characteristics that would be reflected in the country’s contemporary shortcomings. That is, of course, total nonsense. New research is unveiling how Brazilian indigenous people lived during pre-colonial times. 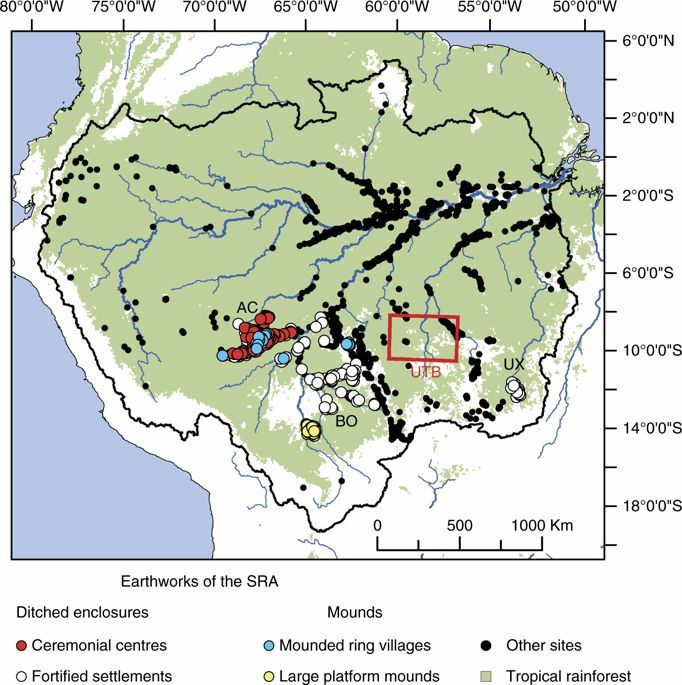 Over the past 15 years, archeologists have discovered 81 sites in the southern rim of the Amazon rainforest which was not thought to be inhabited in the 13th and 14th centuries. Their findings show that Amazonian indigenous societies were far more sophisticated than we give them credit for, with complex urban organizations and a mastery of the jungle. 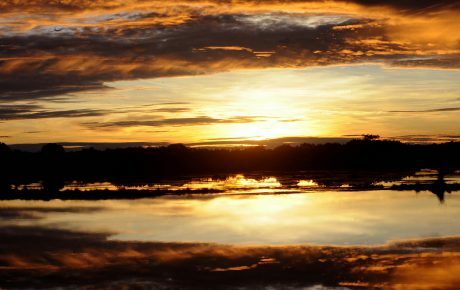 The new sites are located in the northern portion of the state of Mato Grosso, in an interfluvial plateau free of the characteristic floods of the Amazon. For decades, “these areas were archaeologically neglected following the traditional views that pre-Columbian people concentrated on resource-rich floodplains,” as wrote archaeologist Jonas Gregório de Souza, in an article published by Nature Communications in March. More recent estimates say that around 8 million people lived in the Amazon region, debunking the previously affirmed figure of 2 million. 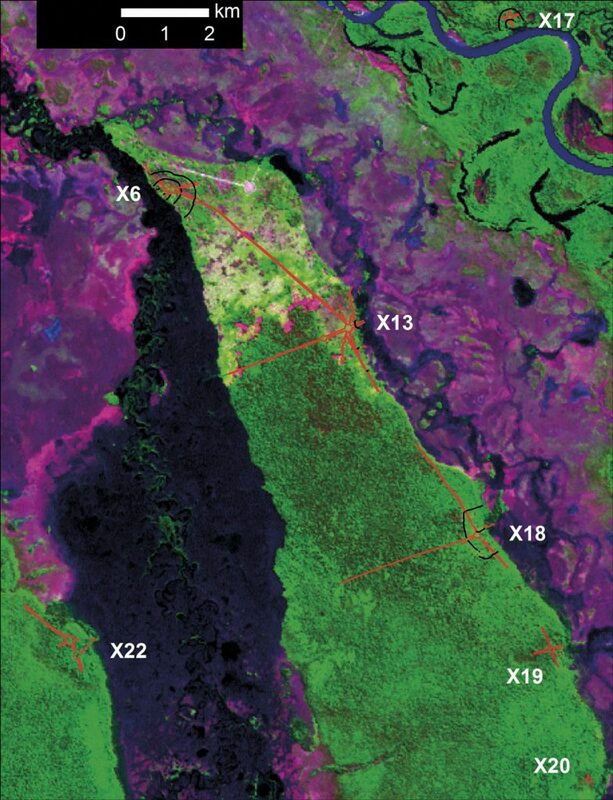 With the help of satellite imagery and field expeditions, researchers from the Federal University of Pará, the State University of Mato Grosso, the University of Exeter, and from the National Institute of Space Research identified 104 constructions or geometrically-patterned ditched enclosures. They are usually interpreted as being ceremonial grounds, based on the lack of occupational debris found within their limits. Mounded ring villages are often found close to such sites. Xs mark ancient settlements. The red lines are ancient roads. “Villages were huge compared to any modern Amerindian agglomeration. Sometimes, they were comparable in scale to Medieval or Ancient Greek cities. 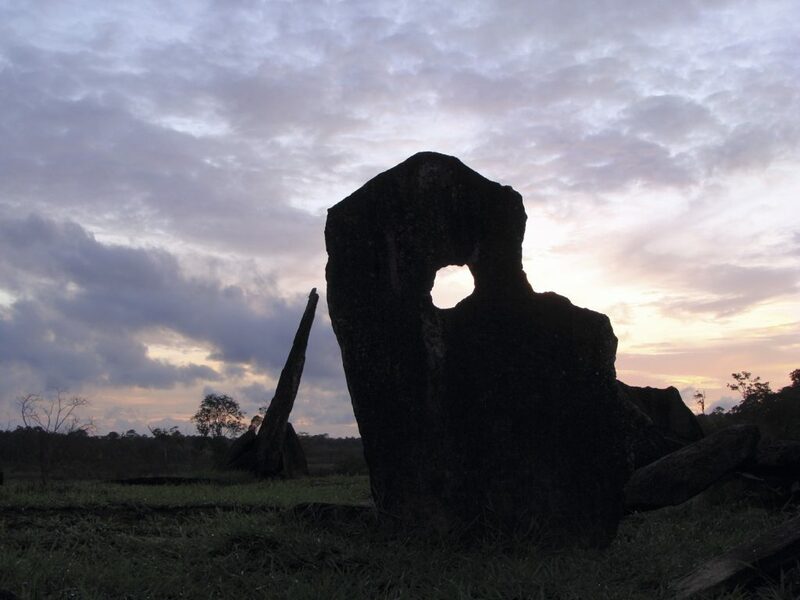 They had their own kind of monumental architecture, based on earth-building – big mounds, earthen rings, massive roads, ditches and wooden walls, which reminds me a lot of other pre-Columbian complex societies in the Mississippi Valley,” says journalist Reinaldo José Lopes, author of the book “1499 – O Brasil antes de Cabral” (1499 – Brazil before Cabral). Among the findings explained in Mr. Lopes’s work is the sophisticated pottery found by European explorers – who thought they had stumbled upon Roman or Spanish pottery, according to historical documents. “It is just beautiful, and it suggests a class of at least part-time specialists producing it, which is the kind of thing you can only get in a complex society,” says Mr. Lopes. Slight clues of very early stages of private property were also found not only in the Amazon area but in Xingu, an indigenous territory in the Center-West state of Mato Grosso, also populated prior to the arrival of European explorers. According to Mr. Lopes, “in Xingu and on Marajó Island (in the Amazon), monumental earthworks suggest that paramount chiefs were trying to put a clear mark on the landscape, but I don’t think anyone can prove this means they thought a particular village was ‘theirs’ and that other folks were their landless ‘vassals’”. In harmony with the Amazon rainforest? 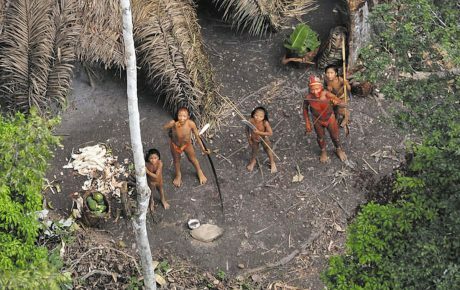 Another myth being debunked by recent research is that the indigenous populations who inhabited the Amazon were merely hunters and gatherers who didn’t alter the natural landscape around them. As a matter of fact, ancient tribes did change and shape their surroundings to better fit their own needs. “There is evidence of that to be found everywhere. In many areas, there is an overabundance of plant species that are useful to humans in places where they ‘should not’ be found. They evolved elsewhere and were taken to their current locations by humans,” Mr. Lopes told The Brazilian Report. There are also findings of anthropogenic or “man-made” soil and very ancient fish weirs, canals and mound-building. Mr. Lopes estimates that 20 domesticated tree species are among the most common plant species in the whole Amazon basin, and they are found in roughly 70 percent of the forest. 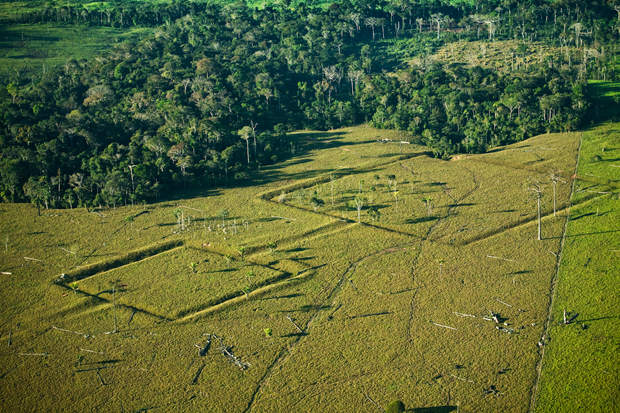 Native populations, however, shaped the Amazon forest in a non-predatory way, as pointed out by Eduardo Neves, a professor at the Museum of Archeology and Ethnology of São Paulo. “In the past, people could settle in the tropics in sustainable ways, modifying it without destroying it, and actually improving biodiversity. This is the opposite of what we are doing today,” he explains. 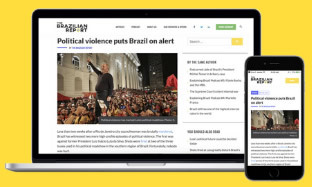 Both Mr. Lopes and Mr. Neves hope that the recent findings will help better inform Brazilians – and the rest of the world – about what Brazil was really like before the arrival of the Portuguese. But it will not be an easy task. In fact, when he launched his book on pre-colonial Brazil last year, Mr. Lopes was stunned by a comment from a reader who dismissed his writings as pure fiction. According to the journalist, this approach to this period of Brazilian history is conveniently chosen to justify the European conquest and colonization. But he’s optimistic about where science can take the study of Brazilian history: “This is just the beginning. There are huge areas in Brazil that haven’t been properly explored by archaeologists. Almost every week somebody publishes some a good paper refining and expanding on what we already know. It is a great time to be a science writer if you ask me”.